Most of the internet users maintain multiple Google accounts which serves various purposes to them person mail, business or something else. Google conventionally does not allow using more than one Google account at the same time in the browser. So you need to do log-in and log-off again and again. Now there is an official way to link different Google accounts; So that you can use various Google services like Gmail, Google Reader, Google Voice and others with just a click of the mouse within the same browser. Why will you need multiple Google account sign-in? It is very annoying and time consuming to play log-in and log-off game in the browser. Suppose you have two Gmail addresses that you use for different purposes. Traditionally, you can use only one at a time. For viewing another inbox, you have to sign out from one Google account and then sign in into another. With multiple sign-in feature you can directly access your second Google account without signing out for the first one. How to Use Multiple Google Account Sign in? To use separate Gmail/Google accounts in the same window, first you will have to enable multiple sign-in. Click Here to Enable Multiple Google Account Sign in. After enabling multiple sign-in (linking different Google accounts), you can see a drop-down along with your current Gmail id at the top-right corner of browser, which will let you choose another Gmail without logging-out from the first one. 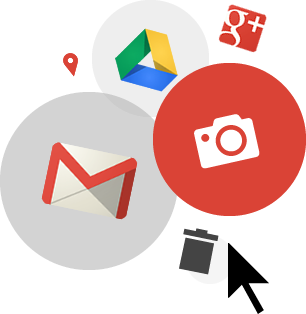 Are you using multiple Google account login, or you prefer using sign in – sign off process?